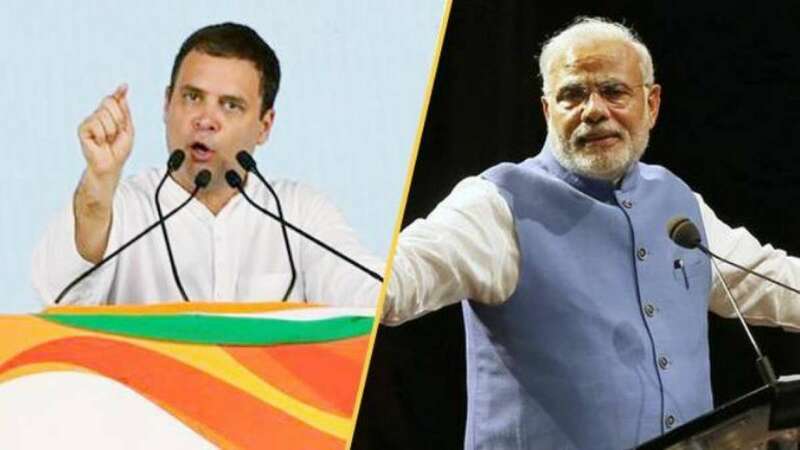 New Delhi : The Bharatiya Janata Party (BJP) on Tuesday slammed Rahul Gandhi over his latest allegation on Narendra Modi for his alleged involvement in the Rafale deal. The saffron party said that the Congress President crossed all limits of shamelessness and irresponsibility by showcasing an email that is not even related to the purchase of fighter jets. The party claimed that the shown email is about some chopper deal. The reaction from BJP came hours after Rahul Gandhi made fresh allegations on PM Modi of acting as a middleman for Anil Ambani in the Rafale Jet Plane.